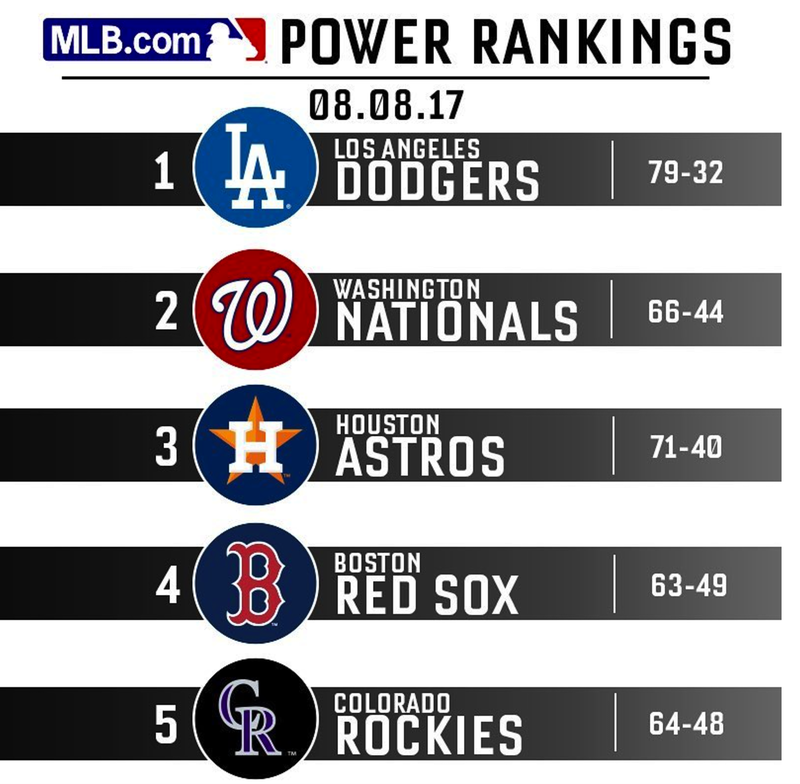 The Red Sox maintained their fourth position in this week's MLB Power Rankings. 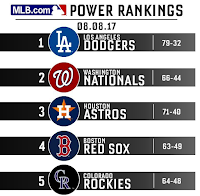 Not surprisingly, the Los Angeles Dodgers stayed atop the list—just shy of 80 wins in early August! The Washington Nationals slot in second—the same spot they were in last week. The Houston Astros also held their third spot from last week, as did the fourth-place Red Sox. So, didn't anybody move, you may ask? Well, the Baltimore Orioles soared five spots this week—going from #19 last week to #14 today. 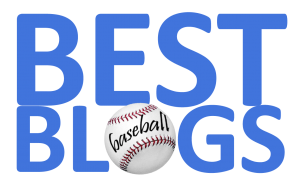 The Bronx Embalmers stayed at #9 this week, while the Tampa Bay Rays maintained their 12th spot on the list. The Texas Rangers tumbled four spots to the very bottom of the Top 20. You can see all of the Top 20 Power Rankings HERE.